I wanted to share a recipe with you that we've been making frequently this summer. It's an easy, one pan meal that we ALL love. Did you catch that? A meal we ALL love. Now that's a GREAT recipe! 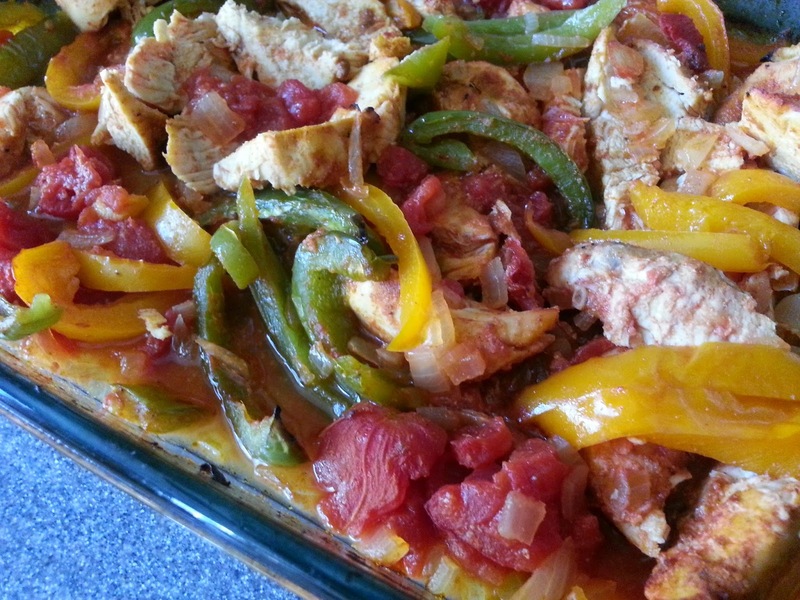 The husband and I are both fans of Mexican-inspired food, and this easy baked chicken fajita recipe satisfies us both! 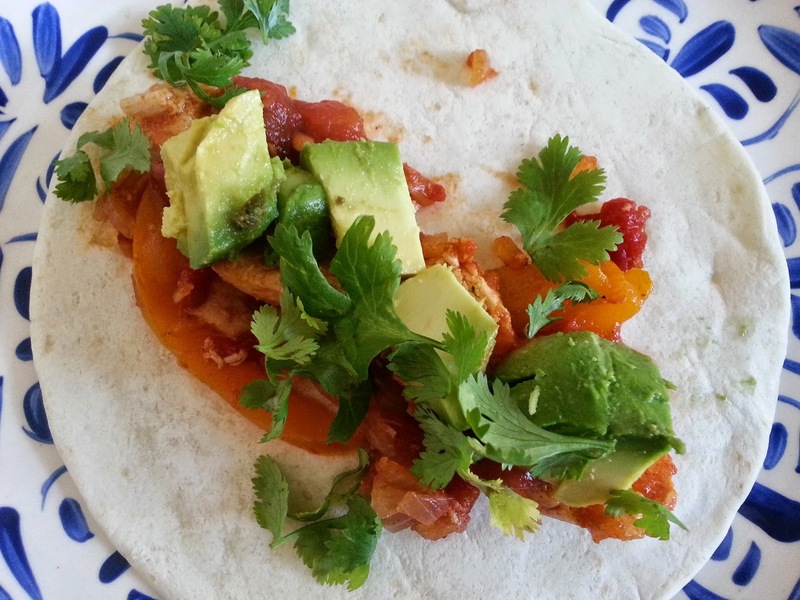 It's rather healthy and filled with protein, veggies and healthy fats if you include avocado. 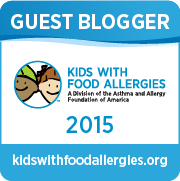 And with a blog name like Mamacado, you know we include avocado! The recipe is based on this one from Self magazine, but I took a few shortcuts to make it easier. 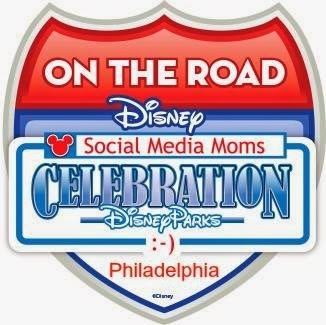 Because all mamas (and parents!) need shortcuts! I also made it food allergy friendly and dairy free by substituting avocados as a tasty topping instead of greek yogurt. Here's how you do it. 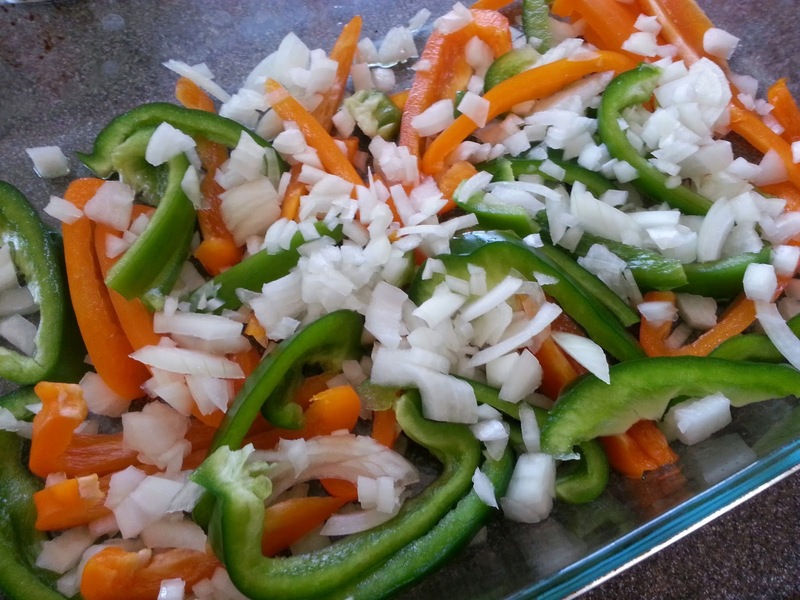 Chop up all your veggies (peppers and onions) and add them to your 9 x 13 pan that you've sprayed with olive oil. Add the tomatoes. Place the chicken on top of the veggies. Make the marinade and pour it on both sides of the chicken. 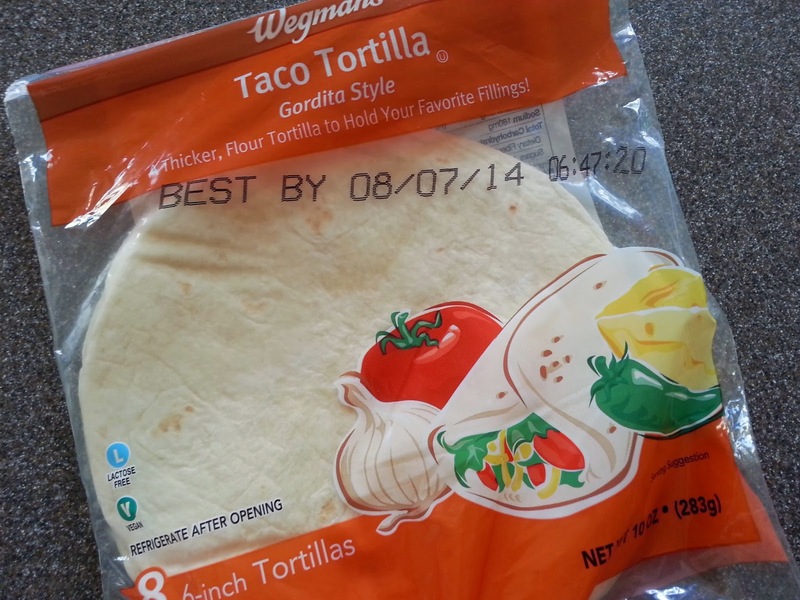 If you're prepping it for tonight's or tomorrow's dinner, put some plastic wrap on and stick it in the fridge. This helps the chicken sit in the marinade a bit. When you're ready to cook it, pop it in a pre-heated 400 degree oven until the chicken is cooked. Depending on the amount and thickness of chicken, this could take 20 minutes to 1 hour. 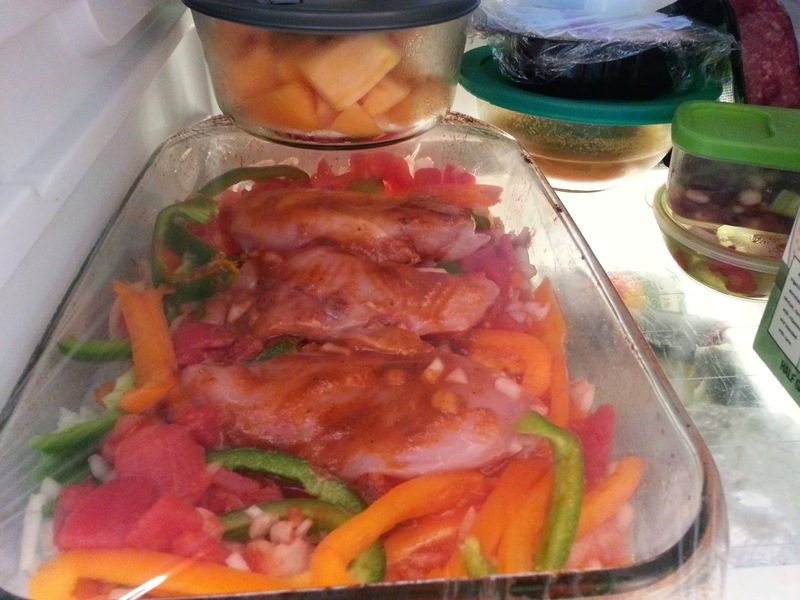 Invest in a good meat thermometer to make this easy!! I am a fan of non-digital thermometers like this that do not need batteries and have the meat temperature reference chart on the side! When the chicken is just about done, put your tortillas in foil (or have them ready in foil in the fridge) and pop them in the oven for a few minutes to warm them up. Cut up the chicken in smaller pieces when cooked (you can really do this anytime). 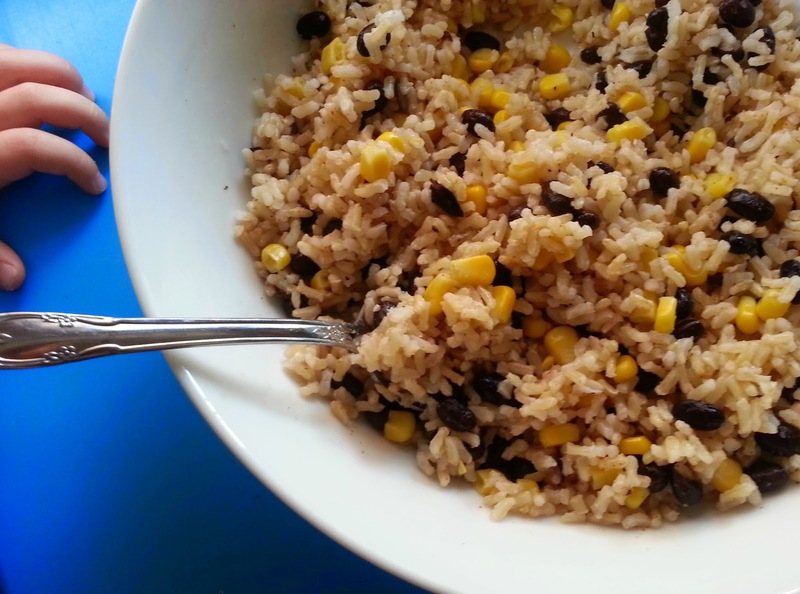 To go along with this meal I also cooked some brown rice and mixed in some black beans, frozen thawed corn, cumin and salt. It was a nice side to add to this meal. Here's my quick shot of dinner on the table...not plated or beautiful for blog photos. Just how we ate it family style! Little Guy liked his meal - here's a picture of his almost finished meal. You know what else I love about this meal? 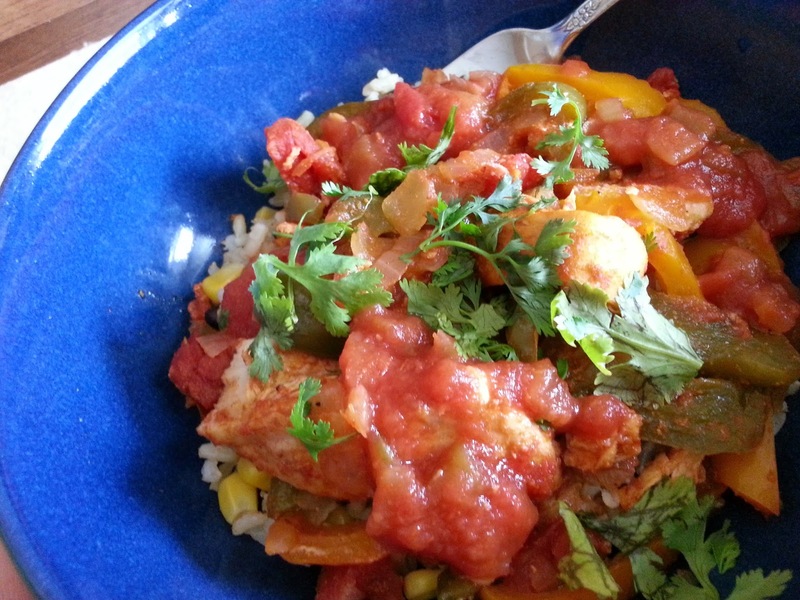 The leftovers are great to make easy fajita bowls. 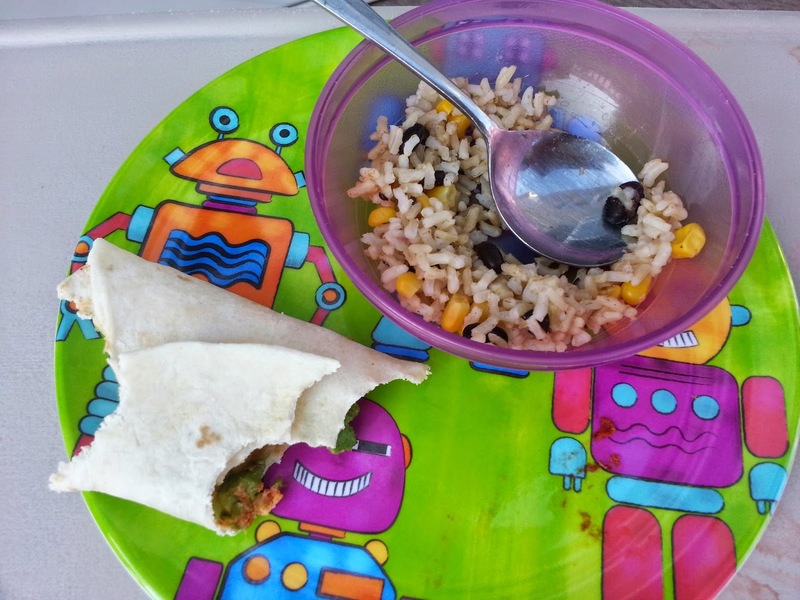 Even if there's no chicken left, a little bit of rice, beans corn and fajita leftovers make a great lunch the next day. 1 can diced tomatoes (I've made it with no salt diced tomatoes, salted tomatoes and tomatoes with green chilies. It's worked well each time). 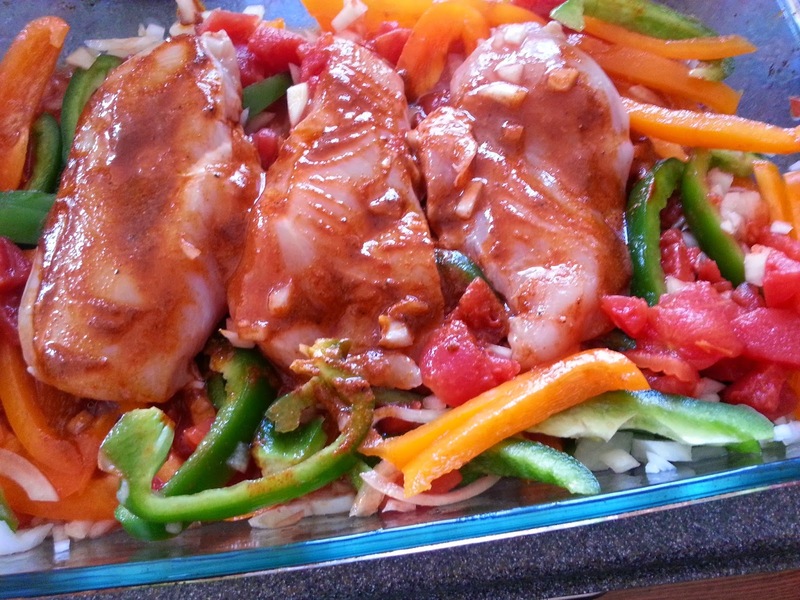 *you can double this marinade recipe if you're making lots of chicken! 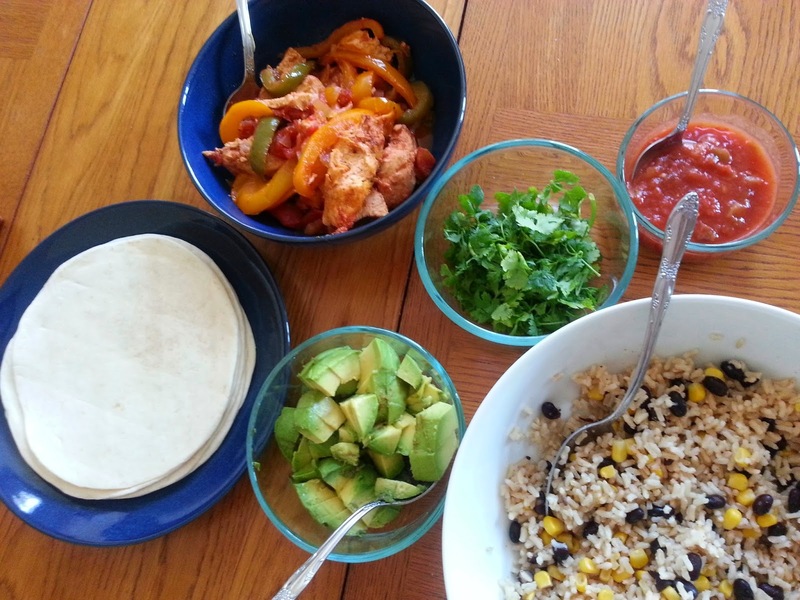 Fajita tortillas - as many as you can eat! Bake at 400 degrees until chicken is cooked throughout. This could take 20 min to 1 hour depending on the amount and thickness of chicken. Use a meat thermometer! 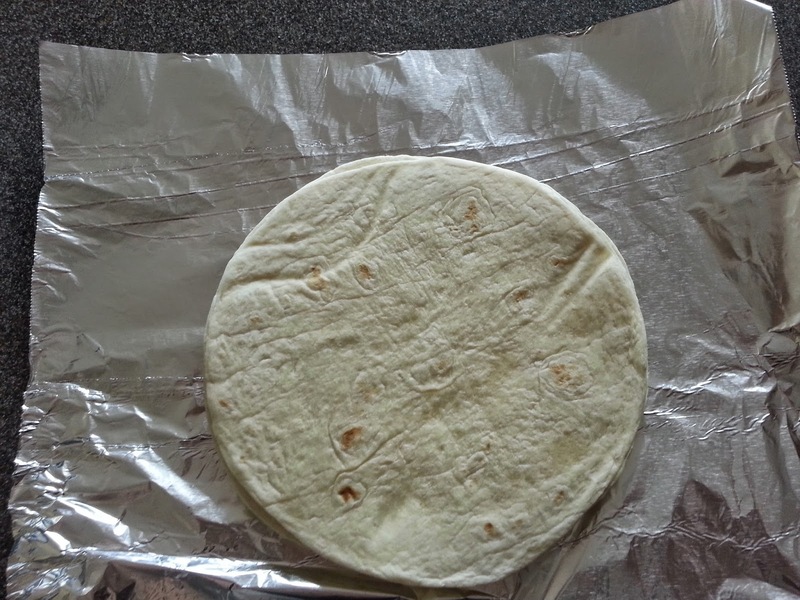 Warm tortillas in foil in oven for a few minutes. PS - Invest in a great meat thermometer for meals like this!